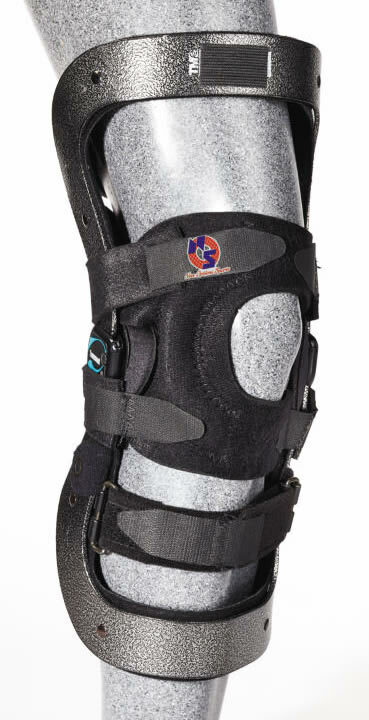 Patella Stabilizing Knee Strapping System for use with functional knee braces. 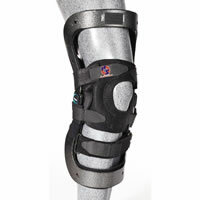 The picture above show a functional knee brace (the outer rigid brace). This support is only the strapping system underneath the rigid brace. The size is universal.